The editor owns two railway uniform ties that cannot presently be identified. Can you assist? 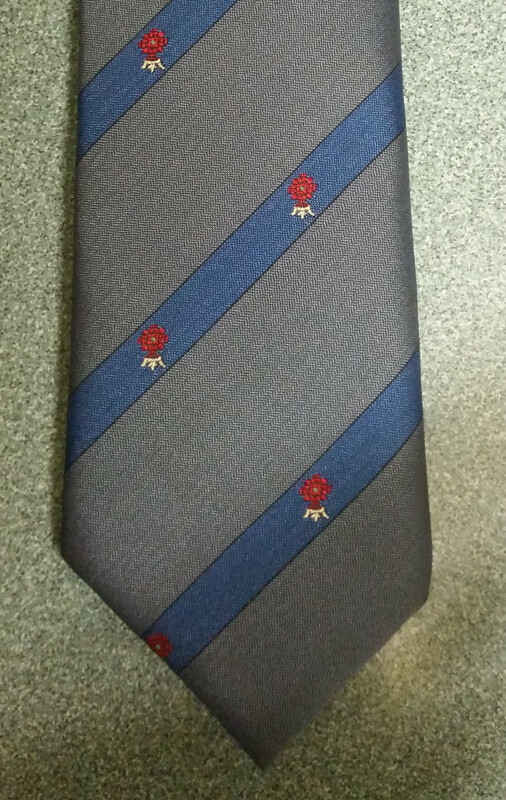 This tie is grey with blue stripes, the stripes containing a red and white motif. It is relatively narrow. The colours suggest something related to Network SouthEast, the width suggesting a similar era. The motif has the appearance of a white-crowned red rose. However, the 'crown' is underneath, not above, the flower. 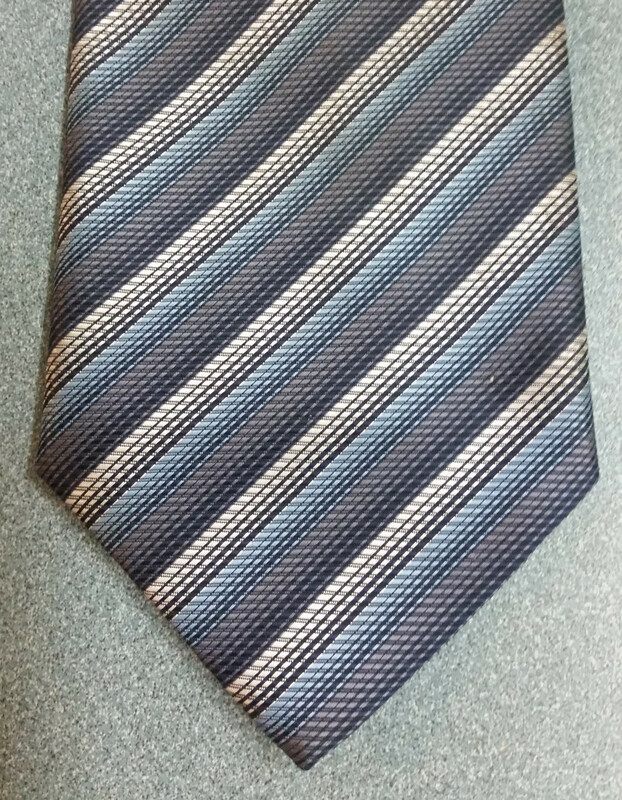 This tie is grey with blue and white stripes. The stripes are graduated being slightly lighter at the top and darker at the bottom edge. It is known that this tie is a post-privatisation item. If you can identify either, please send a message to the editor who will be pleased to hear from you.